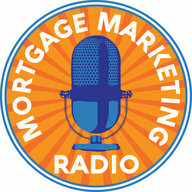 This episode we look at how a Whiteboard Mortgage CRM can help you recoup at least one hour per day to work on your business. You’ll hear from Jordan who’s in marketing at Whiteboard. 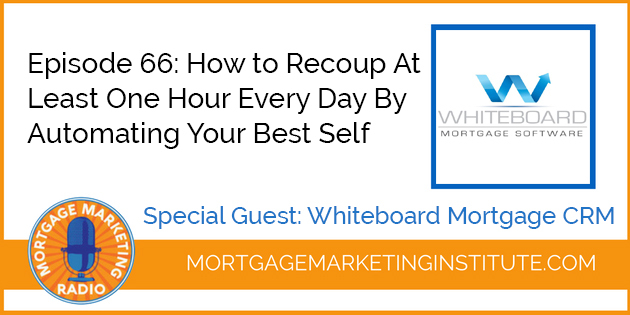 She said, one of their core beliefs at Whiteboard is they want to help loan officers relive your most successful day every day. I thought, “Wow.” Think about that for a second. Think of about a great day that you had, a great day in terms of loan closings, new leads coming in, referrals from partners, and everything just went well. 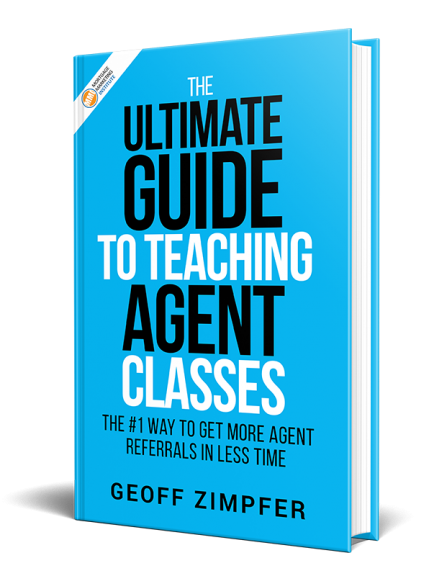 It clicked, you got referrals from your past database, and things are just humming and moving along, and you achieved the tasks that you wanted to. Be able to close more loans, create better relationships, increase referrals, that’s the vision for Whiteboard Mortgage CRM. Relive your most successful day every day, or as one of their client says, Cody Hardridge, what Whiteboard has allowed him to do is automate the very best version of himself. I think there’s some really key features and functionality in Whiteboard that I want you to listen to here. Particularly if you’re one of those who aren’t sure quite how to integrate a CRM to your business, are a little bit intimidated by a potentially steep learning curve. That’s where Whiteboard might be of interest for you because of the short learning curve. Guess what they’ve got on their dashboard? Scripts. That’s right, talk tracks for you to follow, so when you’re making those past client database calls or those annual mortgage review calls and more. >> What’s the Right CRM for You? >> How to Relive Your Most Successful Day – Everyday!